This unique and extraordinary collection covers the whole life, from birth to death, of one British Officer who survived The Great War, Major Robert Oliver Skeggs MC, Rifle Brigade and Tank Corps. The collection has been kindly lent by Mr Peter Barton and consists of many artefacts, photographs, sketches, records as well as a large series of letters written home. 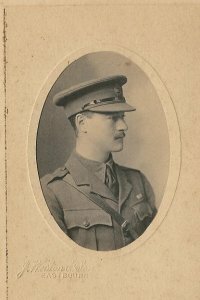 Major Skeggs was present at the 1914 Christmas Armistice and his detailed reports and photographs are quite amazing. Cataloguing is complete and a mini-biography has been written. Later in life he became an accomplished artist. The mini-biography of some 40 pages entitled ‘I Was There’ is available from the Association or from Hotel Beatus Reception. A minimum donation of €15 or £10 is suggested. Postage to France is free and a nominal €3 or £2 to UK and Europe. Postage to other countries is at net cost. Note: We are very anxious to contact any relative or acquaintance of Major Skeggs, particularly those who may still be living in the Roydon/Harlow/Epping area of Essex as well as his former area of residence around Sheffield, Yorkshire. There may also be some who have one or more of his paintings. 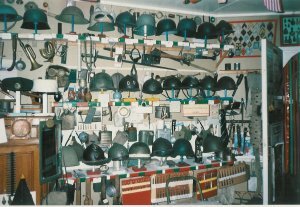 Apart from the tank itself and many items connected with it, this is a vast collection of artefacts connected with the Great War, Tanks and the two Battles of Cambrai. With the exception of the many thousands of original photographs and postcards, the whole collection has been catalogued. The collection continues to regularly grow. 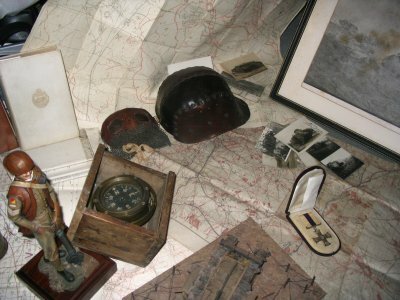 Many items are quite unique and have a personal connection with soldiers who were in the 1917 and 1918 Battles of Cambrai having been passed to the collection by relatives There is also a dedicated library of over one thousand books, many of which are original first editions. Again the library increases as more books are located. The Association are hoping to be able to temporarily display some of the collection before the planned new museum materialises. Note: May we repeat what was said in the introduction. If anyone has any information about the 1917 and 1918 Battles of Cambrai and those who fought in it, we would be extremely grateful to learn of it. Donated or loaned items for the Museum project are always welcome.